Robert Wilde at Breitbart posted that a conveniently pious for the moment California Governor Jerry Brown said that ‘We should welcome the stranger’ while referring to the Obama administration manufactured immigration disaster on the United States border with Mexico. Governor Brown also ignored the First Commandment from Exodus 20: “Thou shalt not murder”, when he signed the bill into law on October 9, 2013 that allowed increased access to the slaughter of unborn children. This entry was posted in Illegal Immigration and tagged "Hypocritically Religious", Jerry Brown on July 29, 2014 by Shayn Roby. 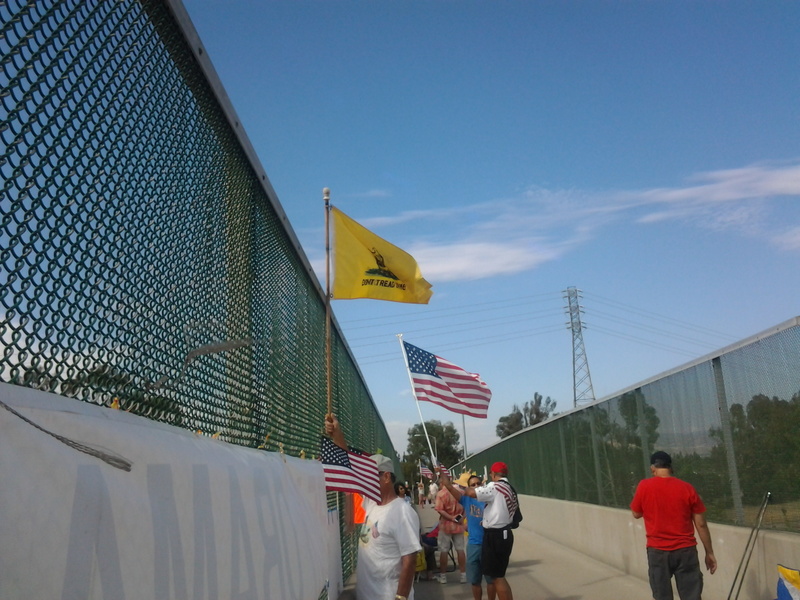 The editor of ShaynRoby.com attended the anti-illegal immigration rally in Irvine, CA and observed the protest taking place at the Yale Overpass overlooking the 405 Freeway from 3-6 p.m. on Saturday, July 19, 2014. The protest was originally hard to find, but the mindless and hypocritical androgenous looking counter protestors actually served their purpose. The individuals on the overpass bridge may not have been noticed had these violators of the laws of fashion not been standing on the corner beside the adjacent elementary school. 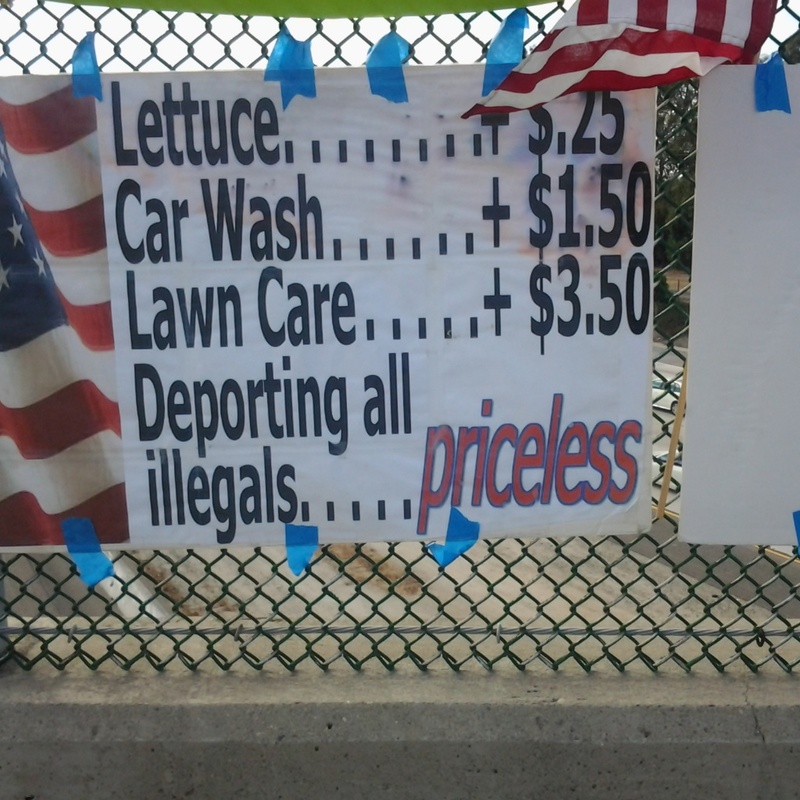 This entry was posted in Breaking News, Illegal Immigration and tagged "Illegal Immigration Rally", "Irvine CA", "No Amnesty" on July 20, 2014 by Shayn Roby. Indeed God’s Word is telling us to take care of the foreigner in the foreign land. What it is NOT telling us to do, is to go to foreign lands and encourage sojourners to come to our land. It is a foolish distortion of scripture to suggest that such a practice is consistent with God’s Word. Unfortunately, that is exactly what is being done as Roby’s Right Corner reports. Roger Hedgecock (paraphrased): “Entrepreneurs in El Salvador, Guatemala, Venezuela and Mexico are printing up flyers telling the people that the U.S. borders are open for children. All they have to do is pay $100 and send their children across the border (with them) with the following memorized sentence: “My family is already in America”… and we are allowing them across the border in droves. History will certainly look back on us, present day Americans, as the dumbest people that ever lived!! What will you say to your children and grandchilden when they ask you what you were doing when their future was being given away? This entry was posted in Illegal Aliens Means "Unregistered Democrats", Illegal Immigration and tagged "Arizona", "Central America", "Cloward and Piven", "El Salvador", "Guatemala", "Illegal immigration", "Overtaxing The System", "Socialism", "Texas", "Venezuela", "Welfare" on June 10, 2014 by Shayn Roby. Shayn Roby’s Take: The editor of ShaynRoby.com applauds the actions of the child that got into trouble for helping another human being out with some food. However, the 800 pound gorilla in the room still must be dealt with. The seventeen year old was in the country illegally. It’s not RACIST to expect that our border security should be honored and respected. The student should not be punished by the school. However, the seventeen-year old homeless illegal alien should be sent back to his home country, along with all others who violate immigration law. We are a nation of laws. Those who want to be a part of it need to follow the laws and come here the right way. That’s not BACKWARD. That is protecting the sovereignty of our nation from those who would seek to make the United States into a Third World nation that resembles the one that they just came from. This entry was posted in Illegal Immigration and tagged "Amnesty", "Illegal Aliens" on September 6, 2013 by Shayn Roby. Karl Rove is a fair weather conservative at best, and is guilty of ensuring that Planned Parenthood has received funding. Karl Rove, 100+ GOP Donors Send Letter to Republicans Urging Immigration Reform. 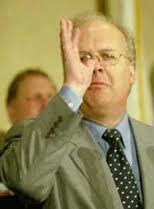 Karl Rove is to be trusted even less than Barack Obama, which puts him in league with Benedict Arnold. Mr. Rove favors selling the United States out and making it more like Mexico. He also is a supporter of the agenda of Planned Parenthood (actions speak louder than words) , one of Barack Obama’s and Lucifer’s favorite (so-called non profit) organizations. This entry was posted in Illegal Immigration, RINOS: Even More Disgusting than Liberals and tagged "Amnesty", "Karl Rove" on July 30, 2013 by Shayn Roby. Shut Down ObamaCare, Not Government | RedState. Marco Rubio is absolutely right in stating that defunding Obamacare should be a condition of short term funding for the federal government. However, Senator Rubio is on the wrong side of another debate which is equally as devastating to the United States economically. He is willing to allow America to become a Third World Country by supporting the amnesty of illegal aliens. Rubio is now the leading Republican in the U.S. Congress pushing for illegal aliens to be given the earned path to citizenship that he himself insisted was “code for amnesty” only three years ago. He lied to the voters of Florida as his position has evolved since 2010. During a debate with opponents Rep. Kendrick Meek and Gov. Charlie Crist, candidate Rubio argued that giving illegal immigrants an “earned path to citizenship,” which Crist, Sen. John McCain and former President George W. Bush had advocated, is basically amnesty. This entry was posted in Acts of Treason, Illegal Immigration, Obamacare and tagged "Affrordable Care Act", "Amnesty", "Marco Rubio", "Sarah Palin" on July 30, 2013 by Shayn Roby.